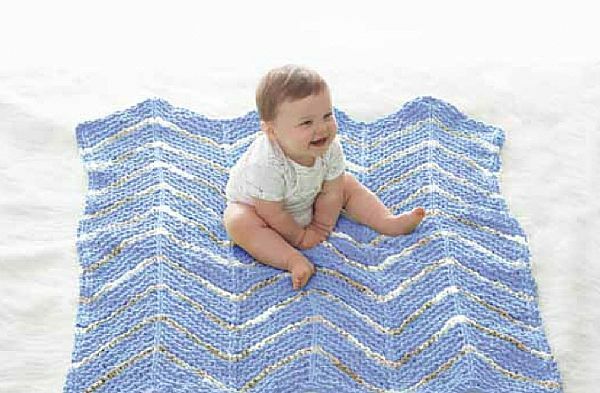 A fairly simple blanket pattern featuring contrasting stripes in a wave pattern. Made with Bernat Blanket yarn. 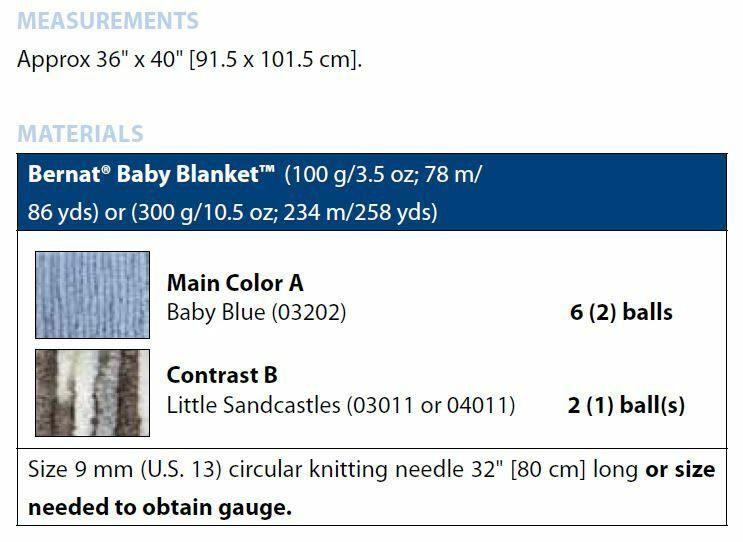 Hooks required Size 9 mm (U.S. 13) circular knitting needle 32'' [80 cm] long or size needed to obtain gauge.